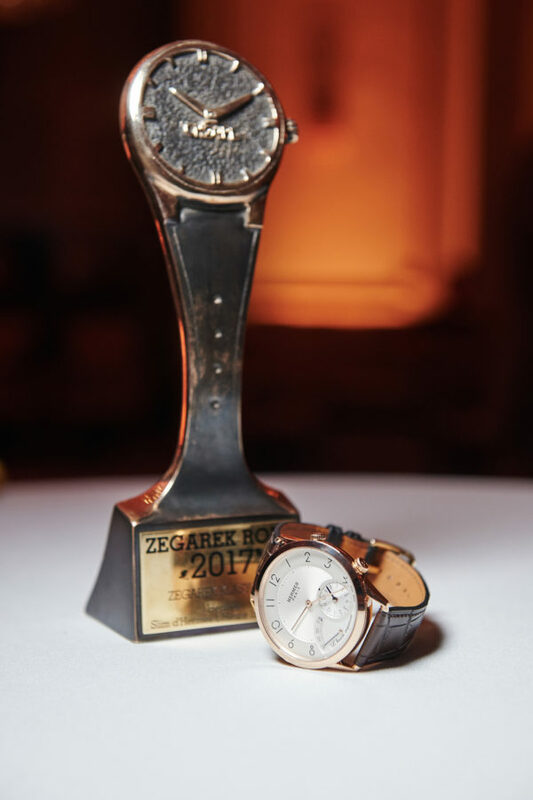 It’s already 8 years, 96 months, around 2.920 days and approximately 70.80 hours since we launched our first ever “WOTY” competition, designed to award and honor the most interesting watch premiers, that are being served to us annually. 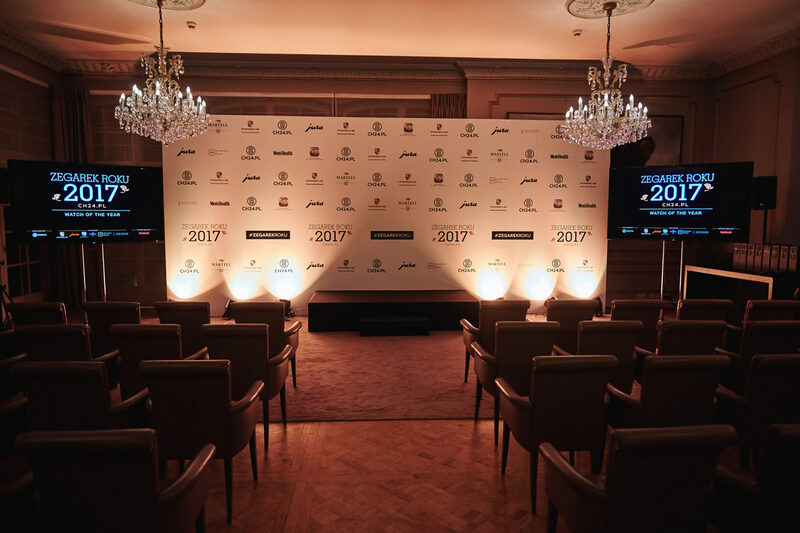 Each consecutive year our competition – always with transparent set of rules and international jury – has evolved and broke new records. 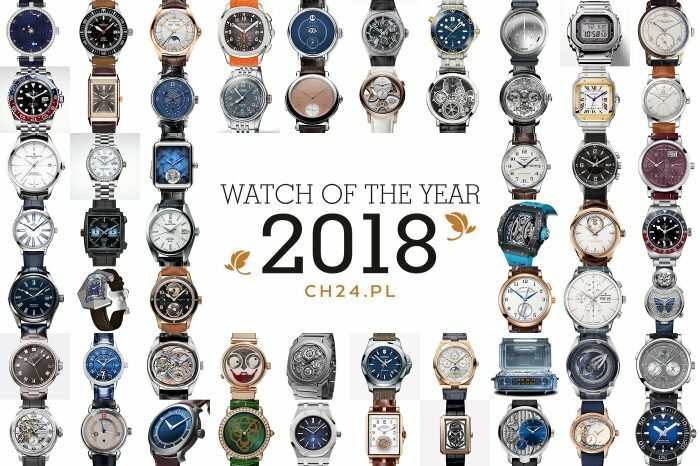 8th Watch OF The Year set a few as well. First time in our history we have nominated 60 competing timepieces in 6 categories (read about it HERE). 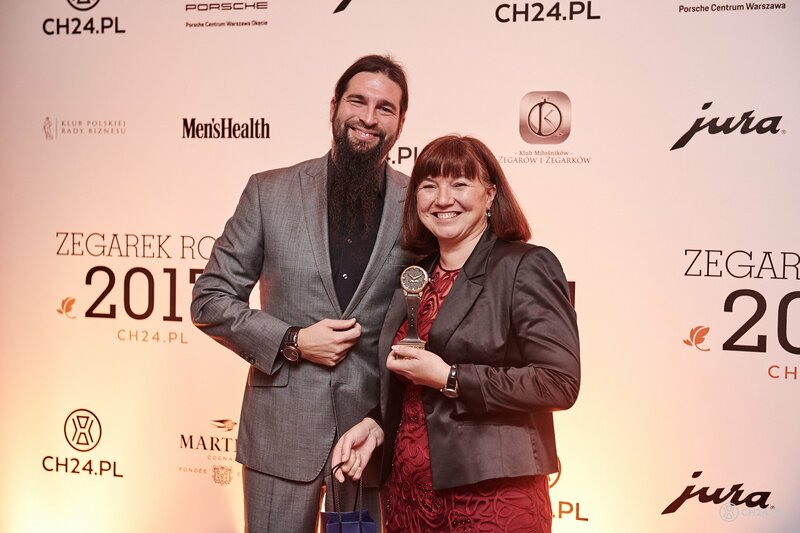 Also for the first time we had to deal with an astonishing amount of over 12.000(!) 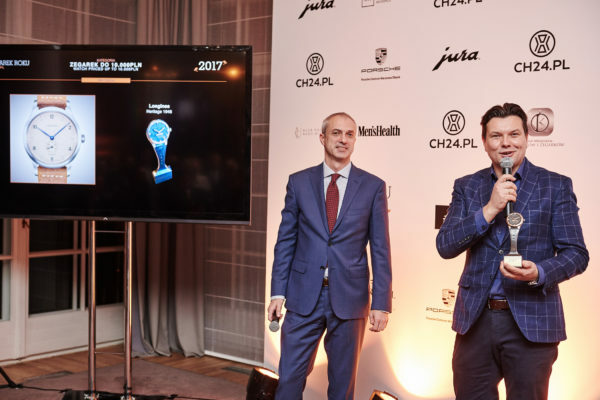 votes in the Public Prize category internet voting. The record was also set by the final gala. 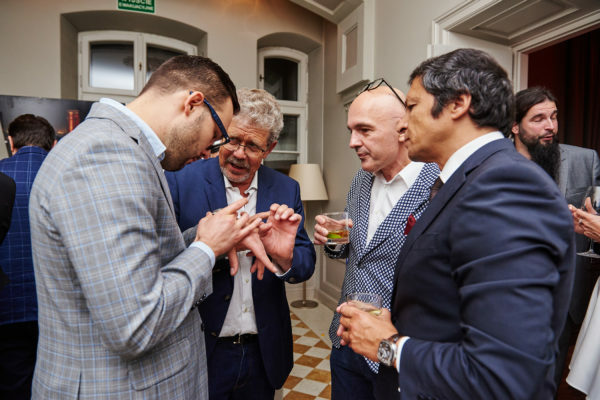 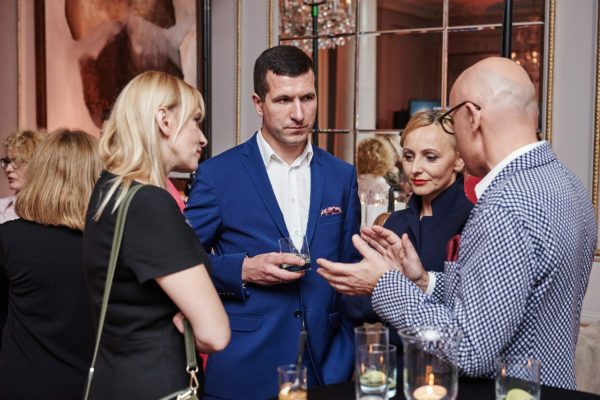 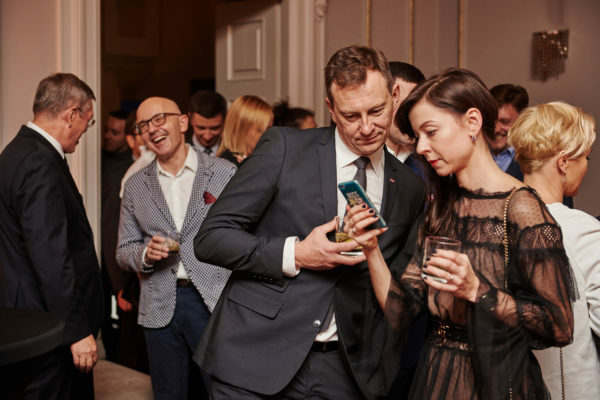 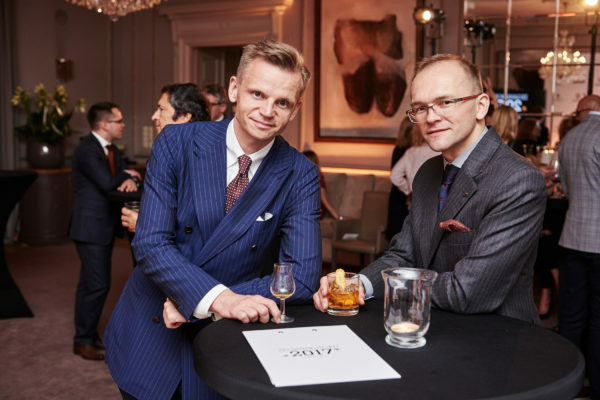 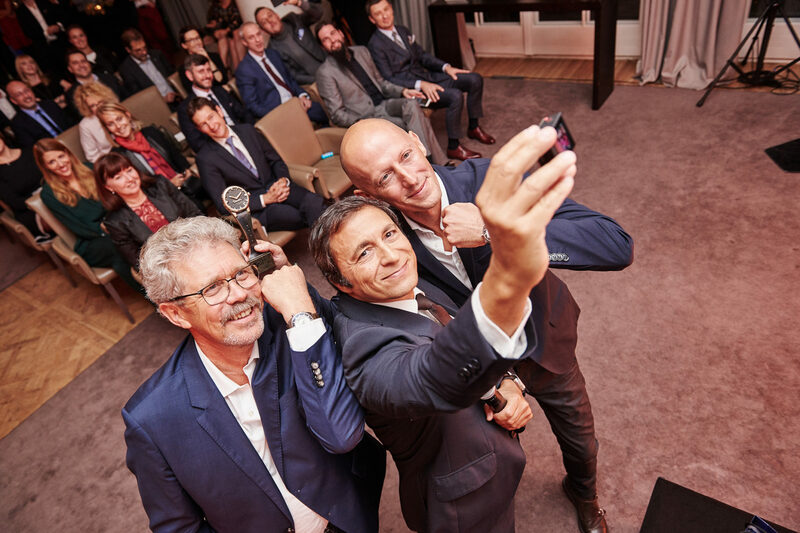 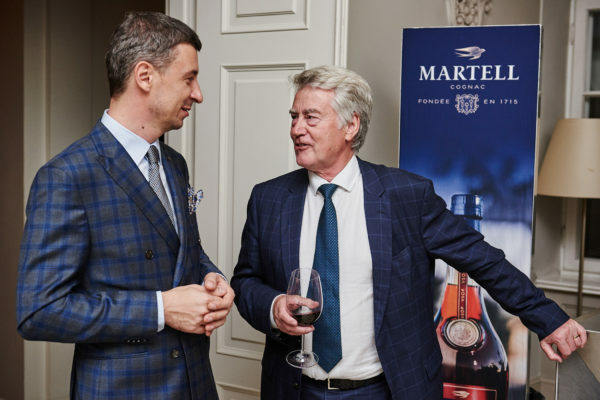 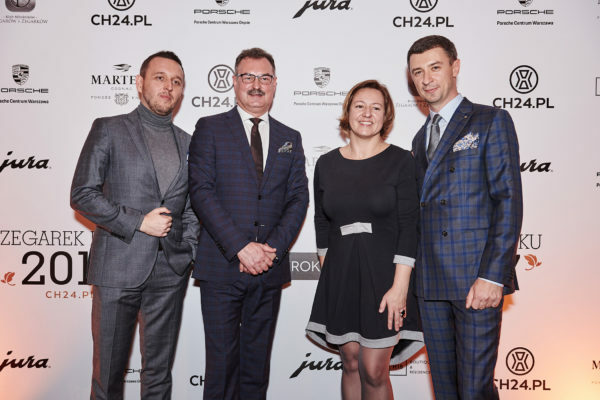 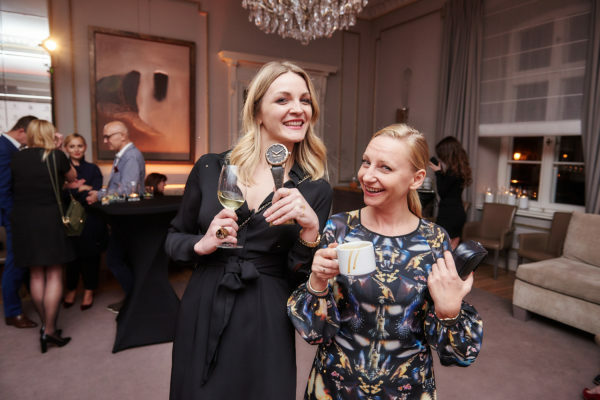 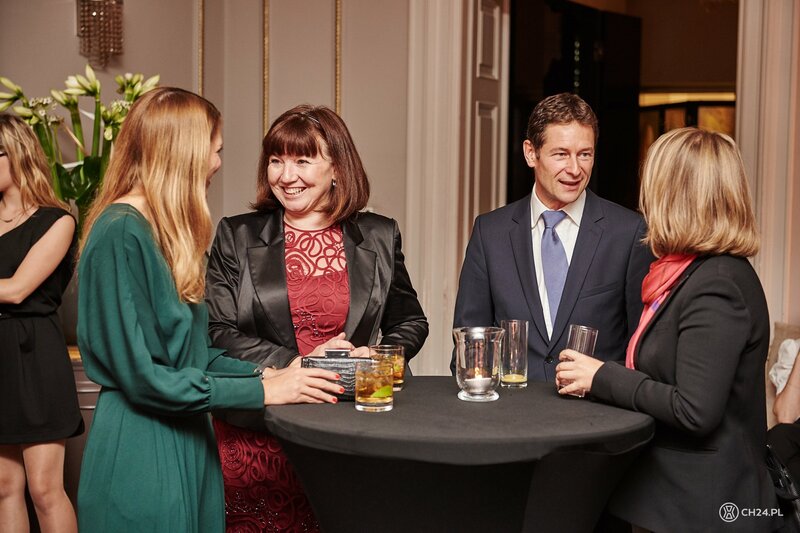 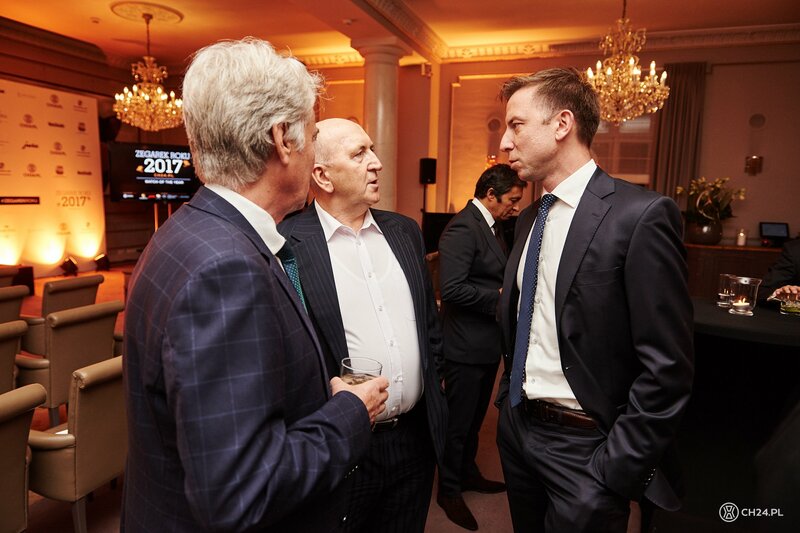 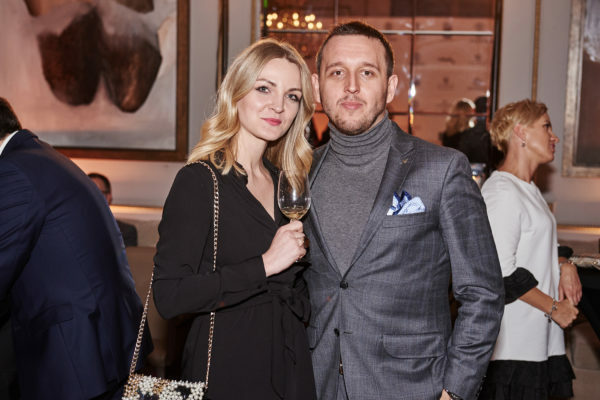 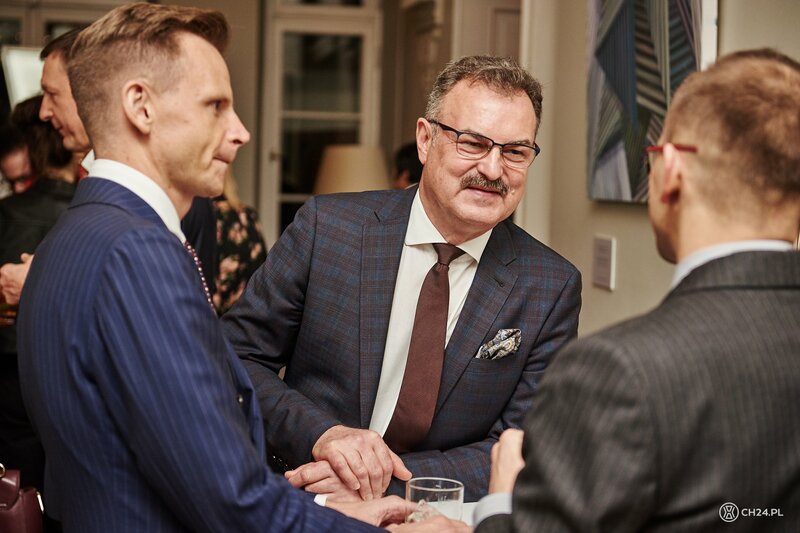 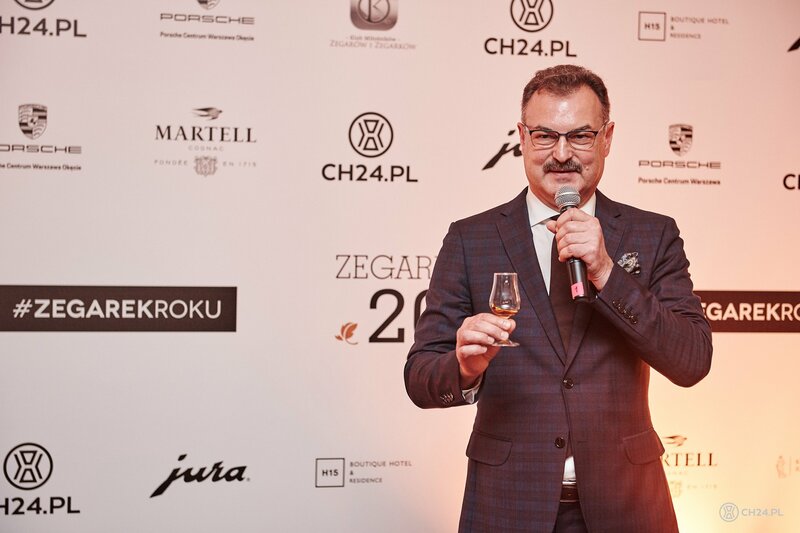 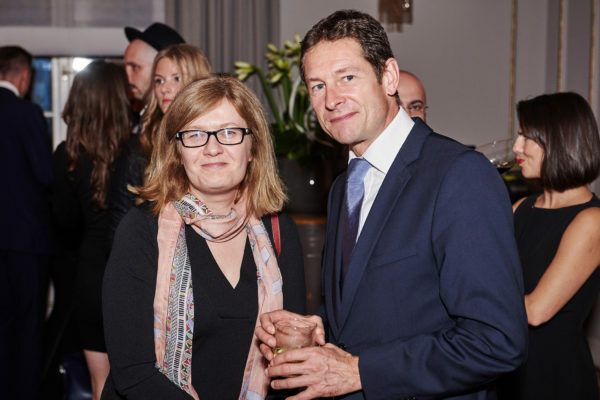 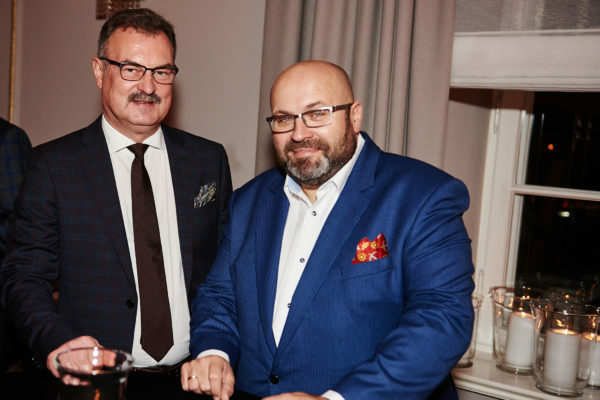 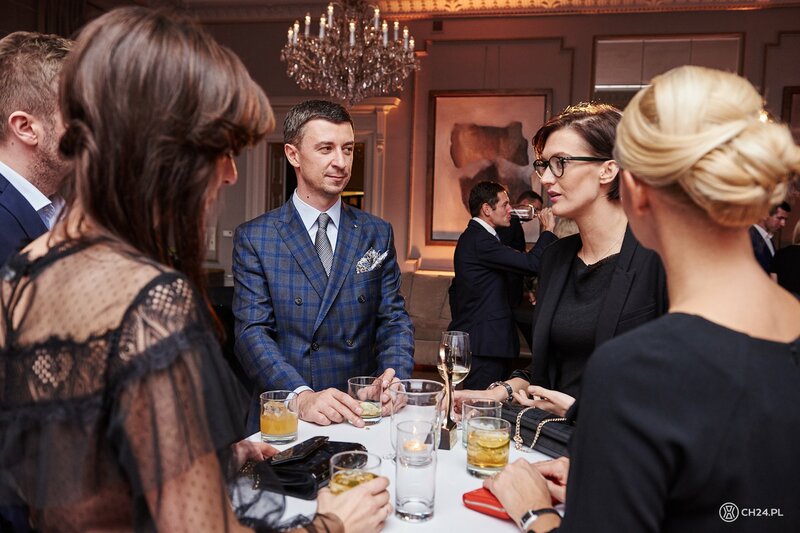 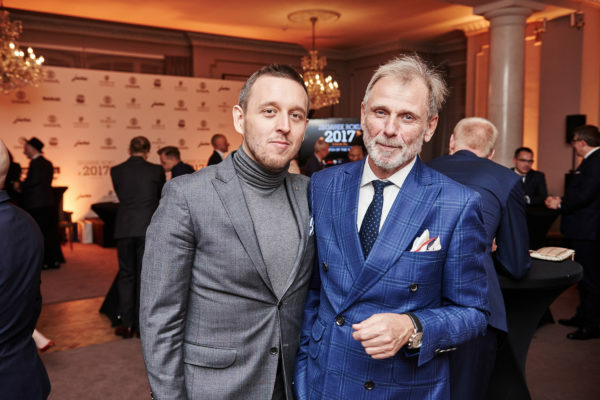 Over 120 guests arrived to Sobanski’s Palace, including brands representatives, retail and distribution, our partners and friends of CH24.PL. 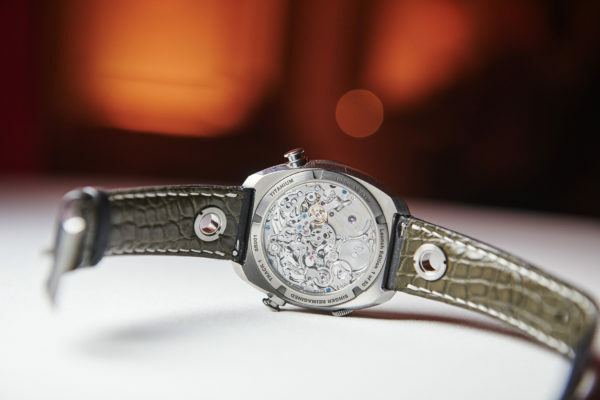 Without doubt we can write it was the best “Watch Of The Year”… thus far. We’ll try to make it even more impressive next year, but before we think about the future, let’s have a look at the past (with tones of pictures). 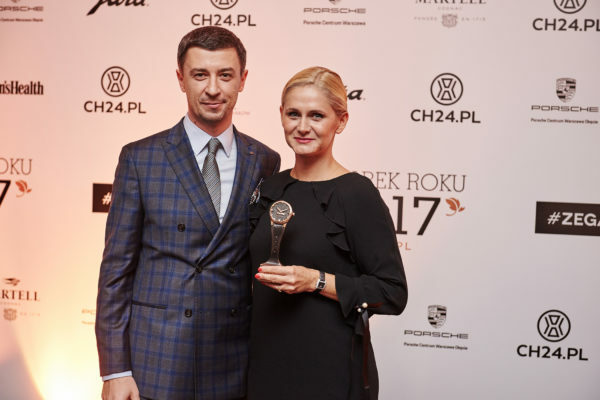 The 2017 “WOTY” winners list was announced beginning of October, and you can find it HERE. 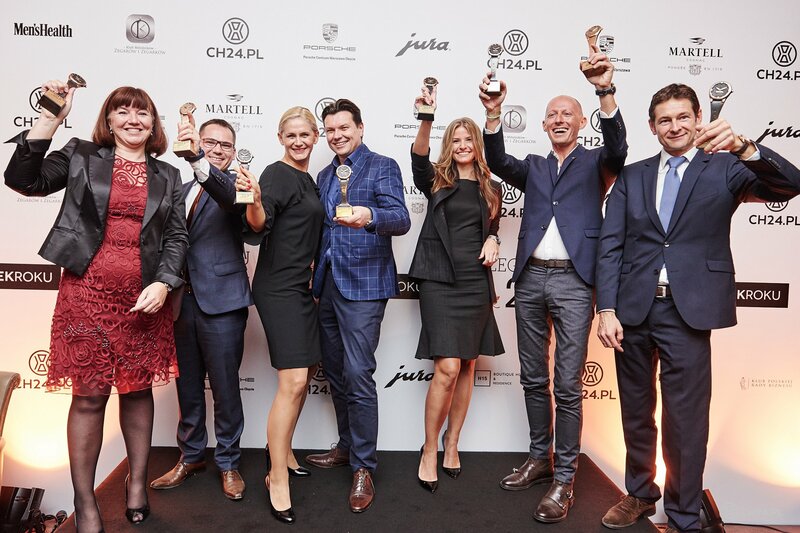 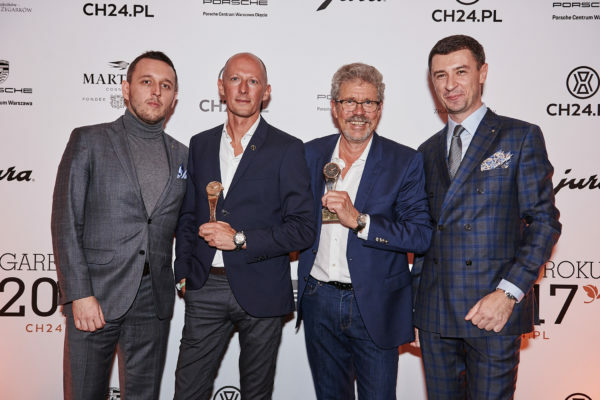 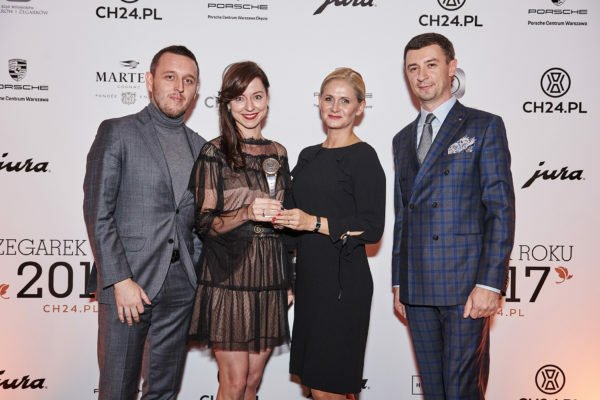 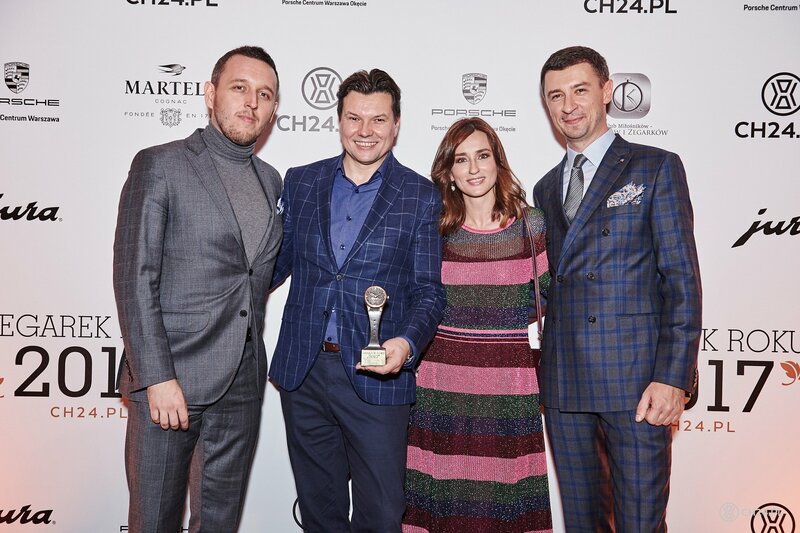 During the grand evening in Warsaw handmade statuettes went to winning brands representatives: Fabien Burnier (Hermes – Classic Watch), Nathalie Le Reun (Jaeger-LeCoultre – Sports Watch), Marco Borraccino (Singer Reimagined – Innovation in Watchmaking), Paula Miszczuk (Audemars Piguet – Ladies Watch), Leszek Pilch (Longines – Watch Priced up to 10.000PLN) and Agnieszka Ławniczak-Czajkowska (Tissot – Public Prize). 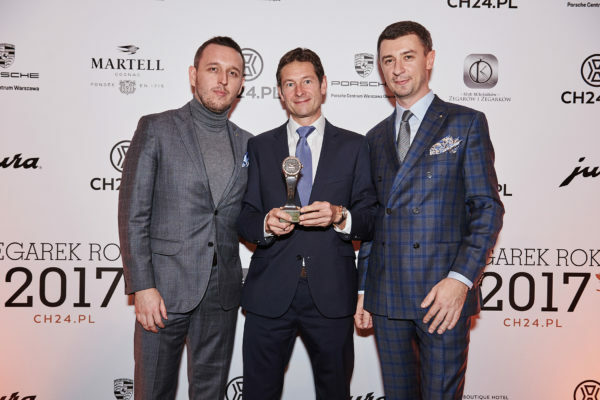 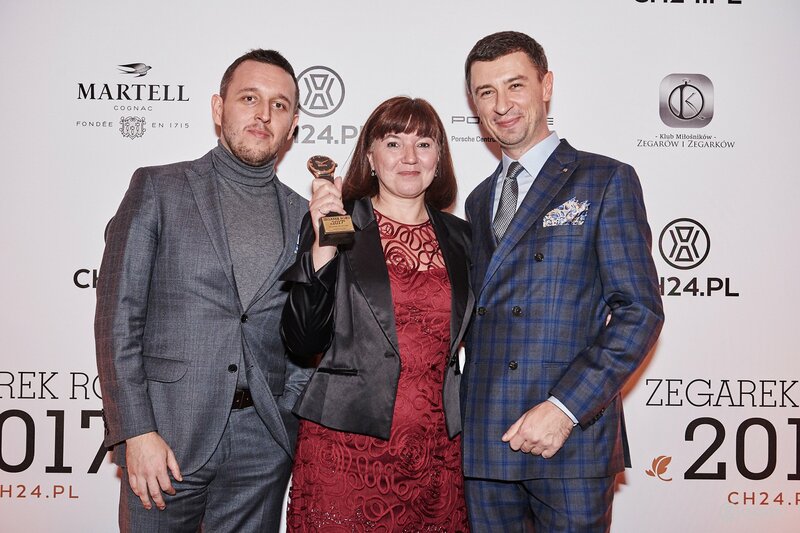 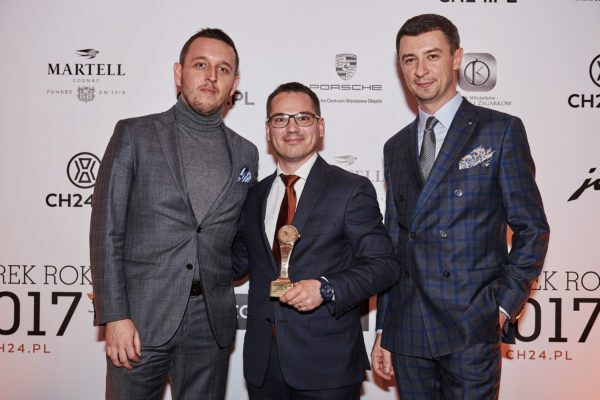 Greubel Forsey (Complicated Watch winner) unfortunately could not make it to Warsaw, so we will deliver the award soon. 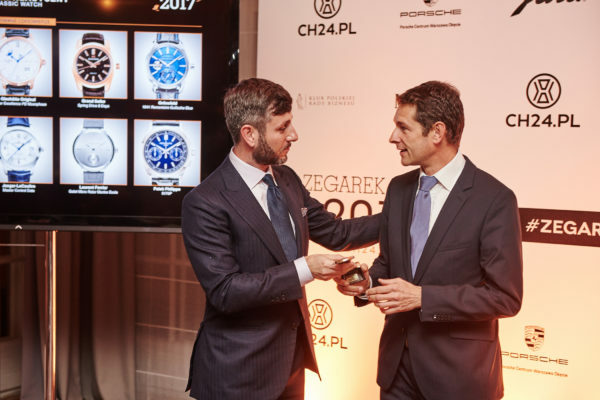 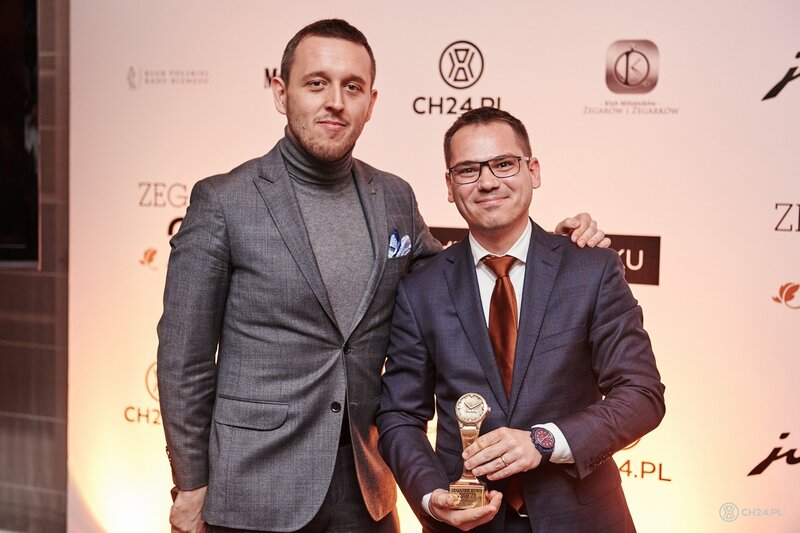 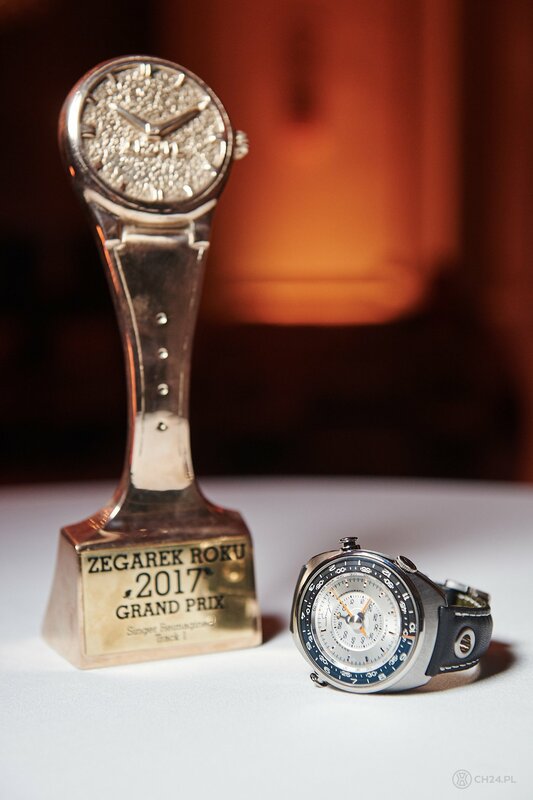 The prizes were presented by jury members, including Jakub-Filip Szymaniak, Jan Lidmansky, Miguel Seabra, Eugeniusz Szwed (representing Polish Watch Collectors Club), Tomasz Jakubas, Tomasz Kiełtyka and Łukasz Doskocz. 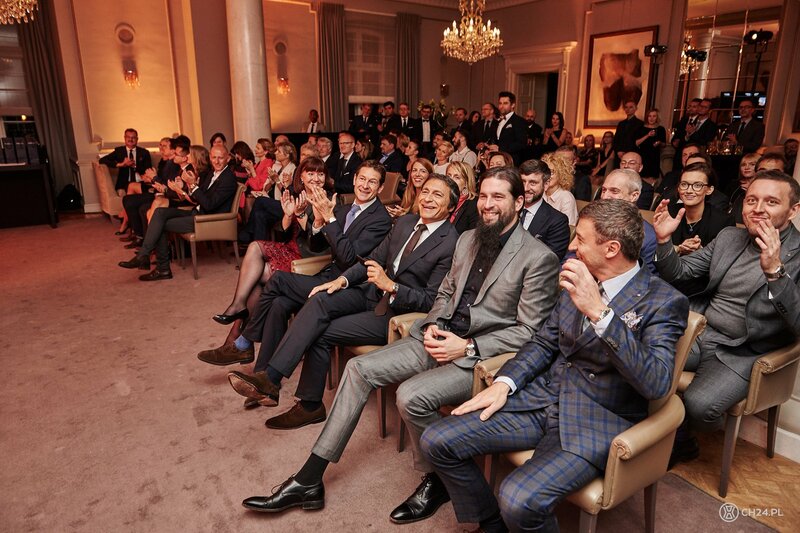 As the evening unfolded, we also presented two more very special awards: Special Jury Prize and the Grand Prix. 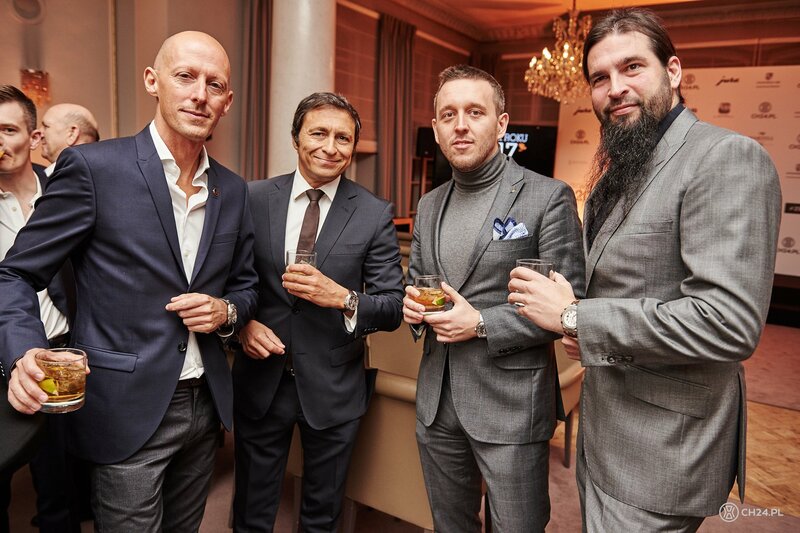 Nicolas G. Hayek, MB&F, Francois-Paul Journe, Walter Lange and Jean-Claude Biver – all of the previous “Special Jury Prize” laureates have contributed greatly to the shape of the watch industry and craft as we know it nowadays. 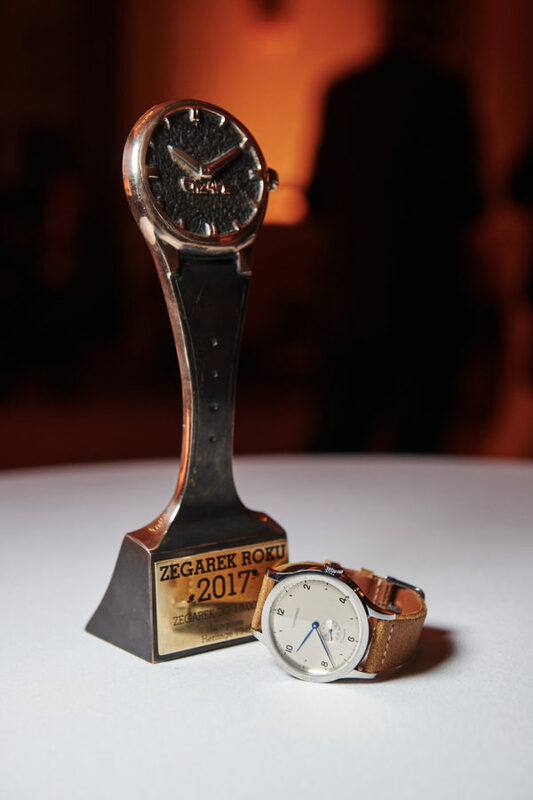 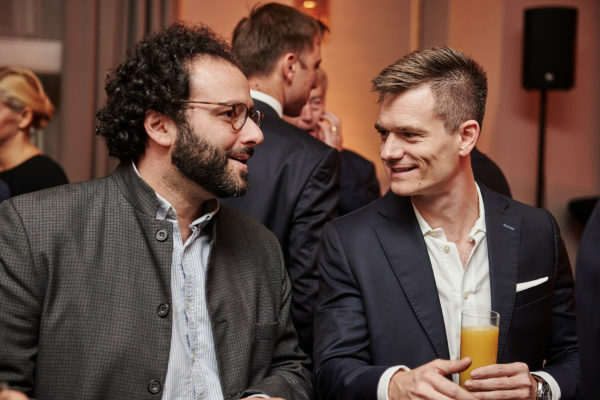 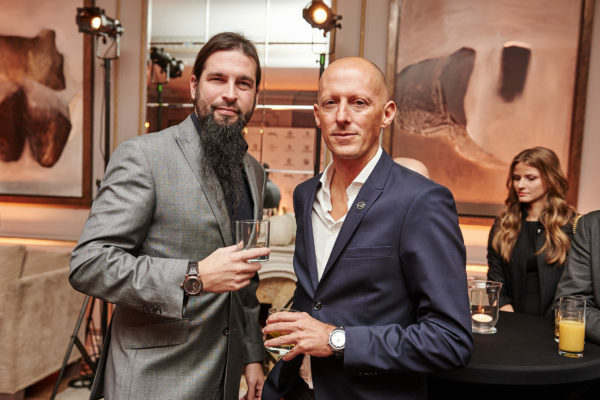 This year’s laureate – Robert-Jan Broer – created a watch blog called Fratellowatches.com, and in it managed to build a community of people passionate about one particular watch model, that also happened to have landed on the moon. 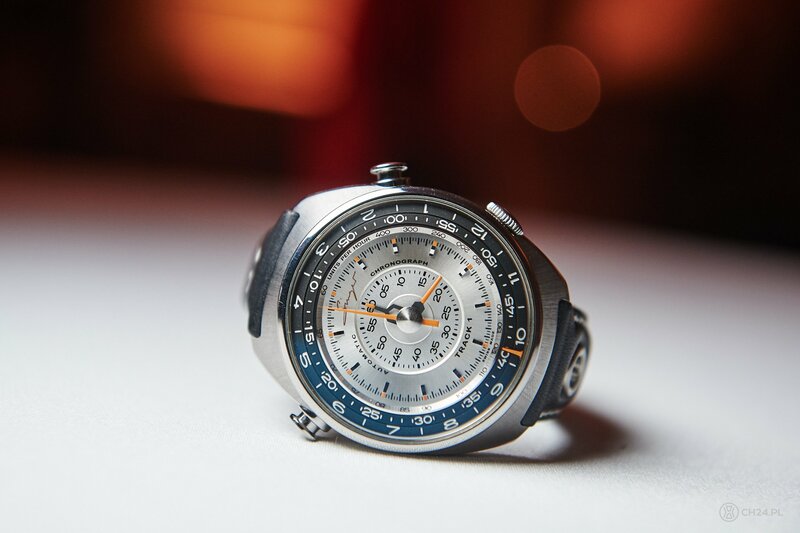 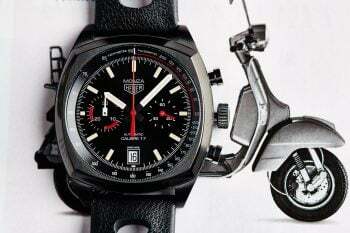 The all gathered under the #SpeedyTuesday hashtag – one of the most popular tags on watch-related Instagram. 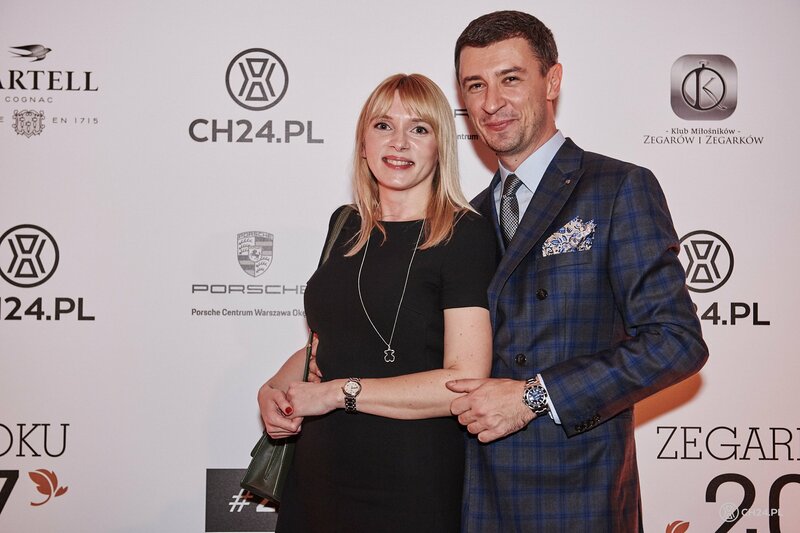 Until this day more than 77.000 pictures have been marked with it, but that is just a drop in the sea of great things that happened. 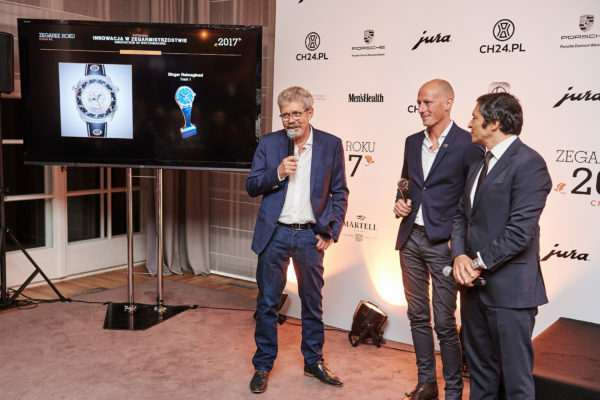 #SpeedyTuesady was priced by many and highlighted by a special Omega watch – a Speedmaster Professional of course, issued in a strictly limited and highly coveted edition (look HERE). The second secret prize of the night was the award of the show – the Grand Prix – our best of the best watch presented in the past 12 months. 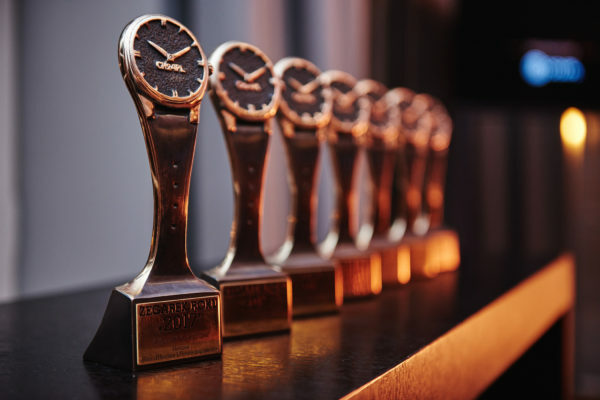 We select it from among all 6 winners of all competition categories, in a usually tight and competitive voting. So… without farther ado… our 2017 Watch Of The Year is… Singer Reimagined Track 1. 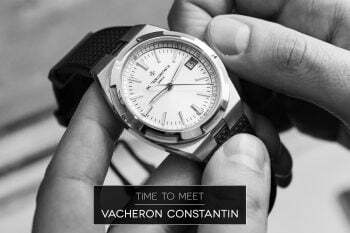 We will present the watch in a full very soon (as it deserves so) including some quotes and stories by Marco Borraccino (Singer co-founder and CEO) and watchmaking legend Jean-Marc Wiederrecht (author of the complex mechanics of the watch, made by Agenhor). Both gentleman, united by great passion and equal vision, made something truly outstanding, and for that they deserve our respect and congratulations. 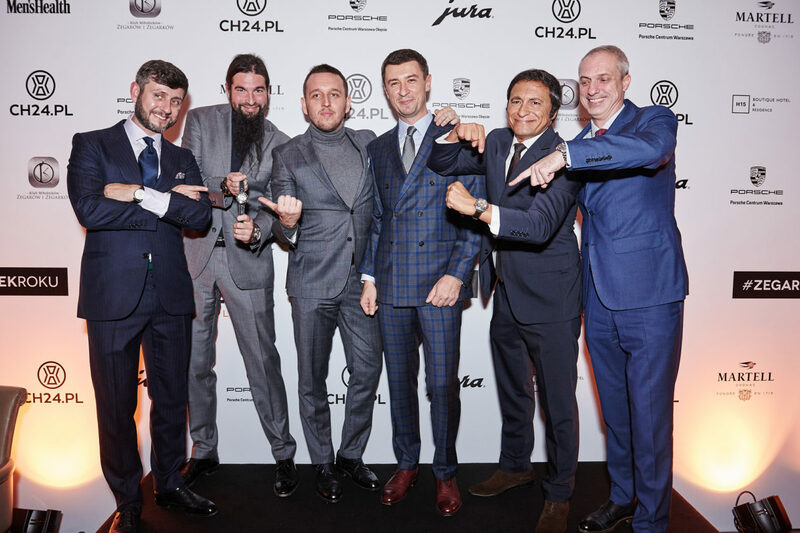 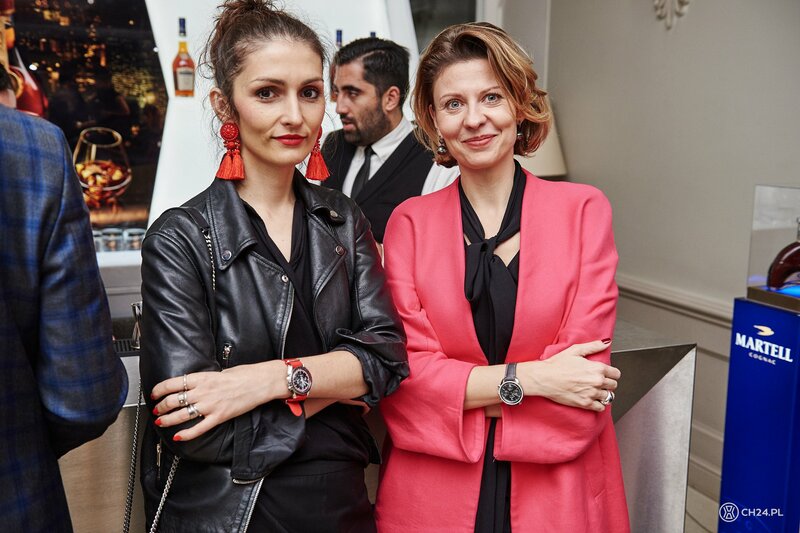 Watch Of The Year would not be possible without partners and friends. 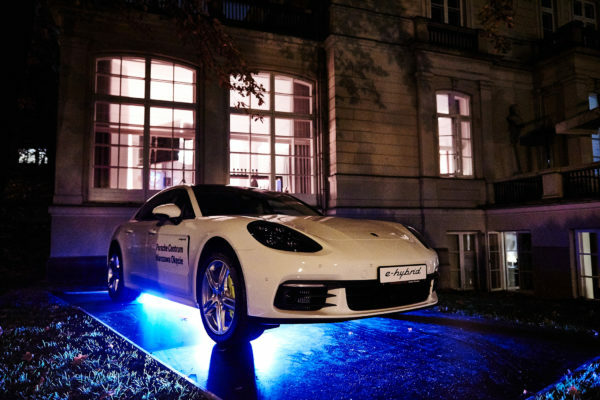 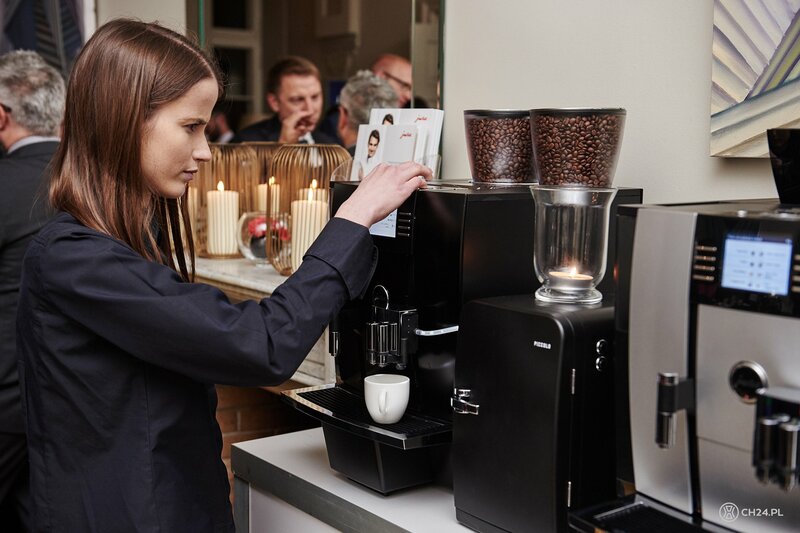 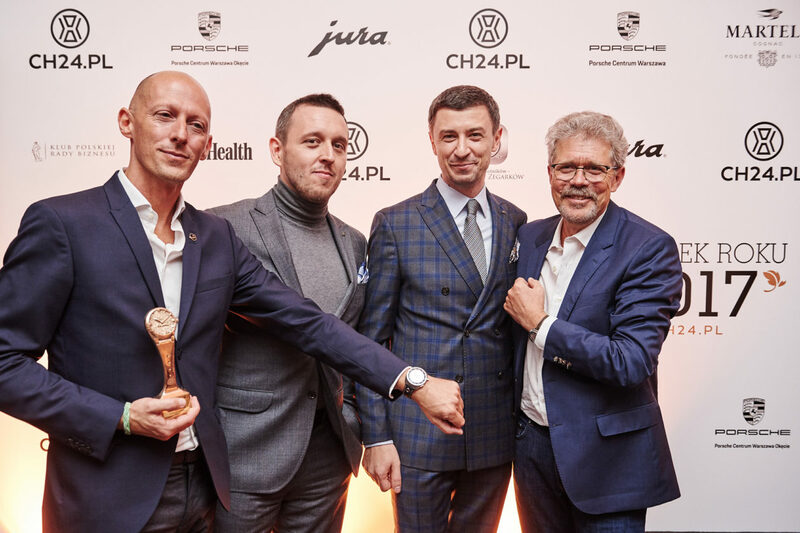 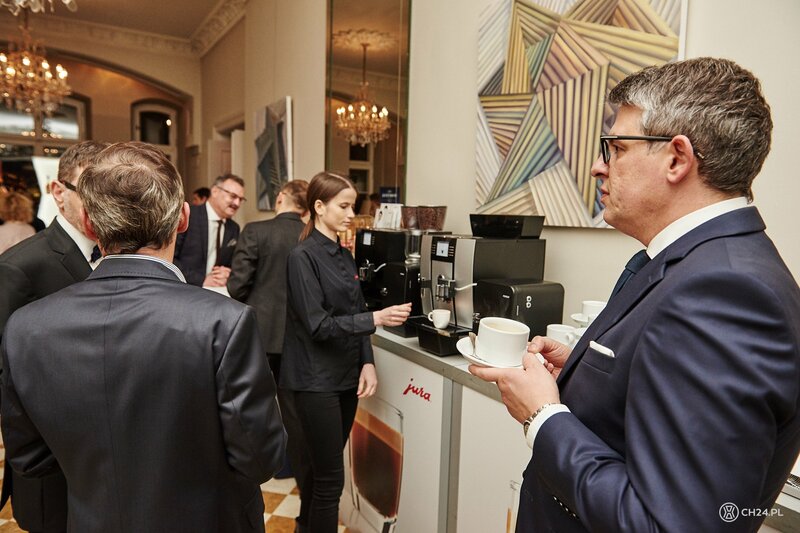 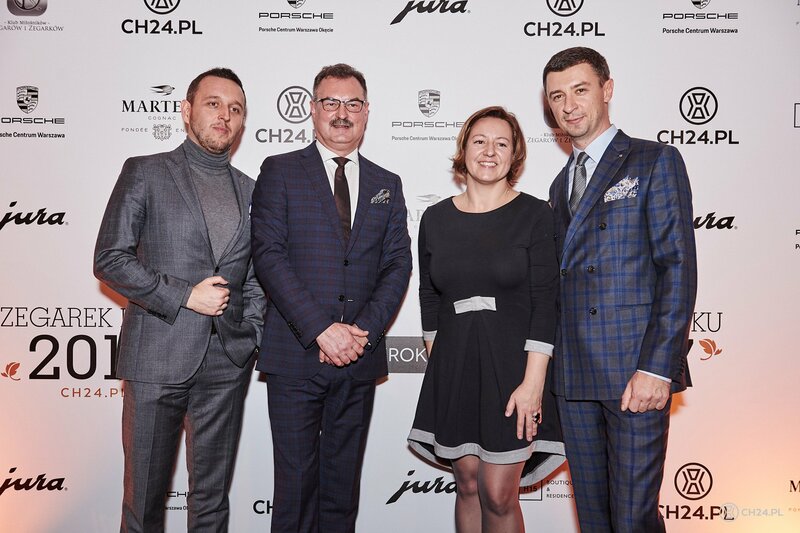 We thank Porsche Poland for a long-lasting support, Jura brand for great coffee (Swiss Made btw. ), H15 Boutiqe Hotel for taking care of our guests, Martell for perfect mood-busting drinks, Men’s Health for being our official media partner, Polish Watch and Clocks Collectors Club for support, Rafal Jemielita for hosting the awards ceremony and Sobanski’s Palace for ever-so-perfect organization and professional approach. 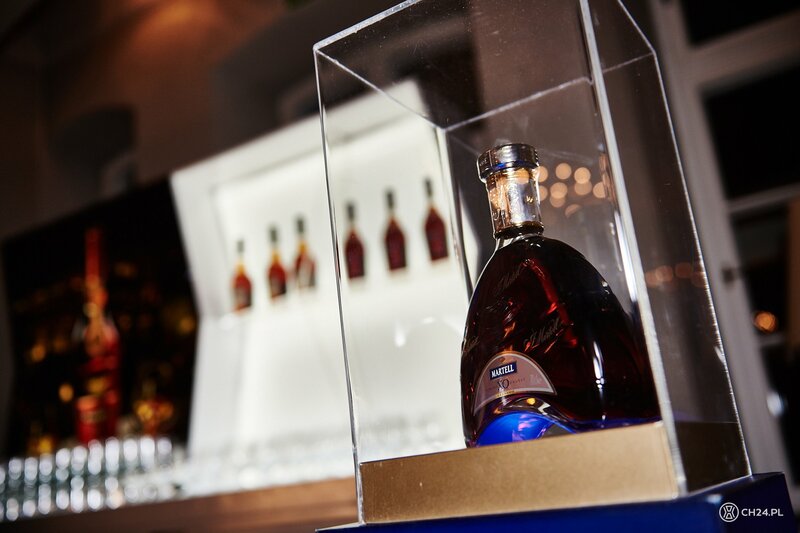 Without you we would not make it.